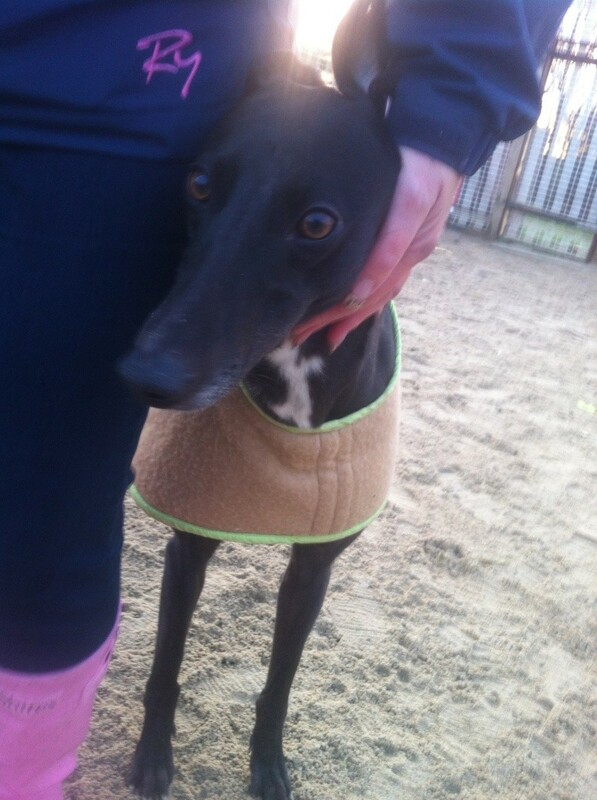 This is Lucky, she is a black greyhound, she’s 3 ½ years old, she is an ex-racer. She is only a little girl but full of fun. 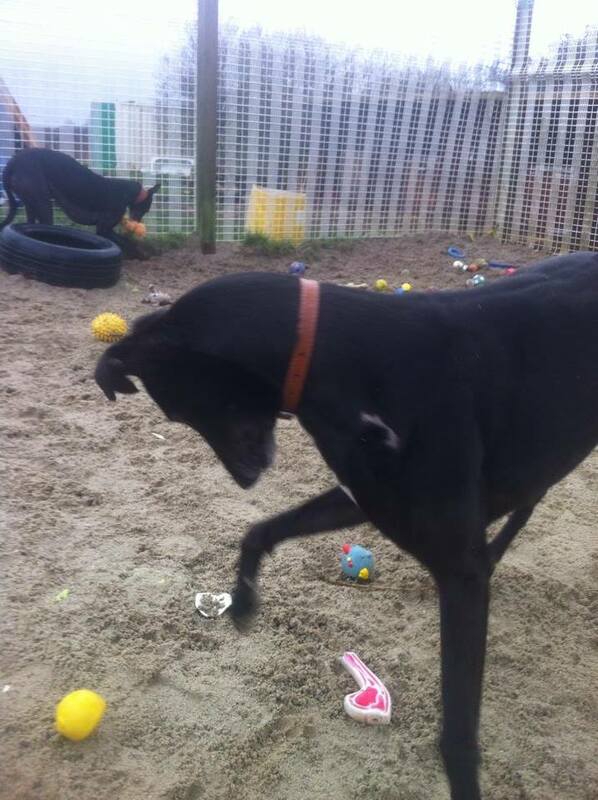 She is very playful and gets on well with all other dogs. She has even met small dogs and has been very polite with them. She is friendly with all people and walks well on the lead; she loves squeaky toys, balls and treats. 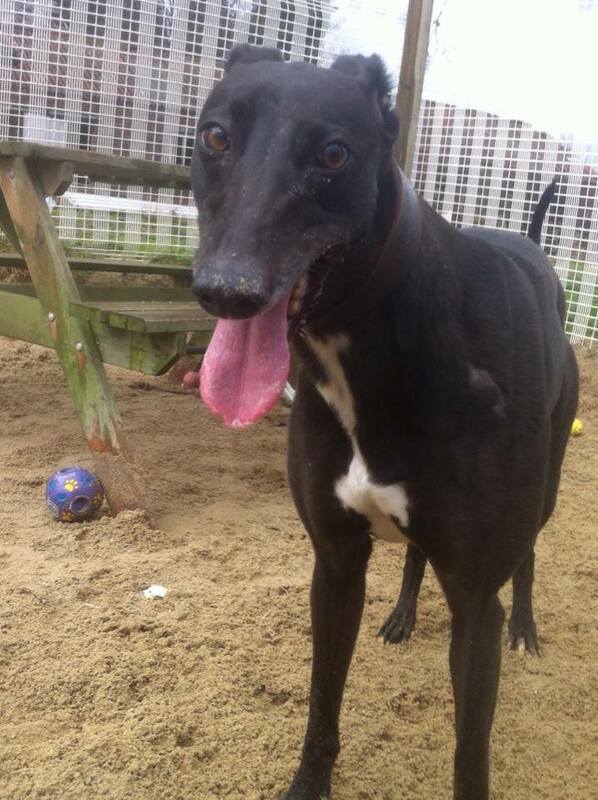 Unfortunately due to her racing past, she cannot be rehomed with cats.